need it before i go crazy. No need for that please check your PM... now you have pass for latest Patch No.4. Patch 4 is cumulative and it include all earlier versions... because of that you don't need any of them except latest one - P4. 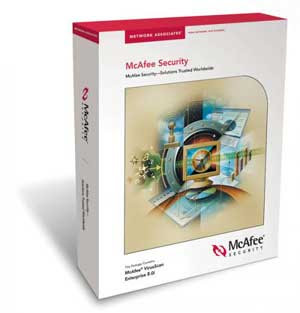 McAfee recommends this release for all environments. Patch 3 is considered a High Priority Release. See McAfee Support KnowledgeBase article KB51560 for information on ratings. This release of the software includes the following improvements. 1. Changes were made to the service startup sequence to have less impact on the system during startup. 1. Issue: Users would see Windows Security Center notification pop-ups at regular intervals, stating that VirusScan was disabled. VirusScan changes, rather than at regular intervals. Resolution: The ScriptScan application has been updated to account for changes in the Windows 2008 R2 platform. Resolution: The On-Demand Scanner now requests the necessary elevated privileges to authenticate on Windows 2008.
not save, the setting based on what is specified with the command-line switches. state before deciding to load itself. 10. Issue: Removing the current Patch from the system did not replace the Patch_ registry data from the previous Patch. Resolution: The Microsoft Patch (MSP) installer now reverts the Patch_ registry information to the previous version. Show the system tray icon with minimal menu options. encountered first, so it doesn’t override the other selections. the operating system from misinterpreting the intended location. 16. Issue: The Task name entry for the default "Full Scan" used the translation string name instead of the translated name. Resolution: The Announcer library now uses the proper translation name instead of the string. Resolution: The VirusScan 8.7i extension has been updated to properly display the buttons. 18. Issue: The threat event 1119 event showed an incorrect Engine and DAT version when an update failed or was cancelled. Resolution: The AutoUpdate application now reports the proper information for the event. Resolution: VirusScan Reports extension was corrected to display the information under the proper column name. Resolution: The VirusScan Reports extension now uses the proper column validation. Please, request your password in reply to this Topic. All VIP, Advanced, Authority, Hero or SCF Member with 5+ KARMA rating have possibility to contact Me via PM for pass. without any Conditions. All other SCF Members will need to have (make) at least 25 useful posts to get pass. ... without exceptions! Main reason is Our slogan: "SCF is PC Security Portal where members share their experience and knowledge." how to get password for mcafee virusscan enterprise 8.7 i password? FYI, latest Patch for VSE 8.7 is No5.